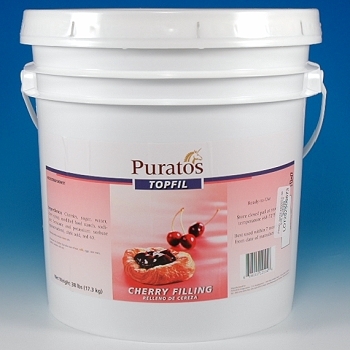 Puratos Topfil "Cherry" Fruit Filling is a premium fruit filling. Topfil is produced to meet the most demanding requirements of professionals. Containing whole fruit or large pieces of fruit with the maximum percentage of fruit content. 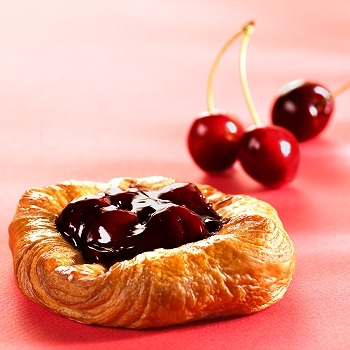 Its enhanced texture and visual appeal make it ideal for succulent fruit pies and other baked goods. Features: Ready-To-Use, Bake-Stable, Shelf-Stable and Freezer Stable. Puratos since 1919, worldwide producers of high-quality bakery, patisserie and chocolate ingredients.